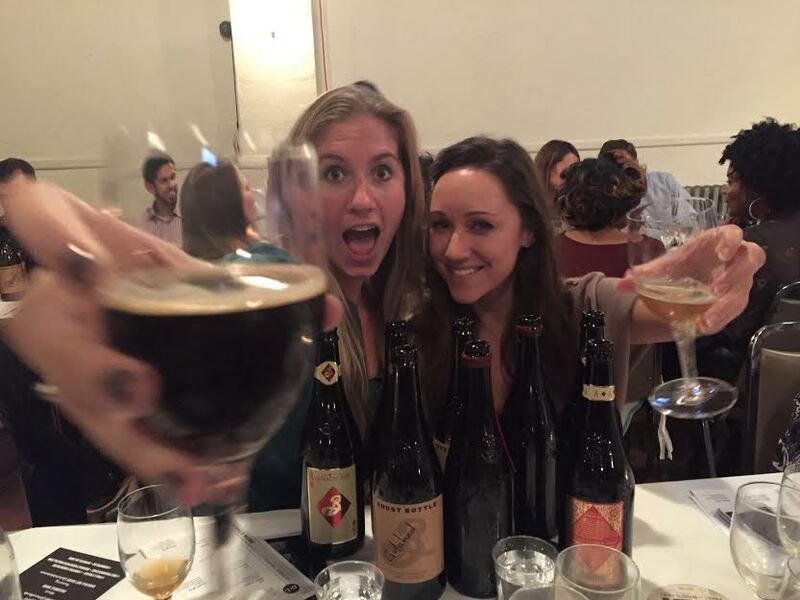 Sometimes, the stars align in the world of craft beer. Whether it’s winning tickets to a sold out Great American Beer Festival (check), tweeting the perfect New Belgium bike tweet (check), joining a meet-up group just in time to lead a weekly glass event (check, RIP Rockfish Thursdays), or scheduling your new full-time job to start just a few days after the end of Philly Beer Week (check, and ouch on the wallet front), these moments can fall into your lap. But you can also seek them out. 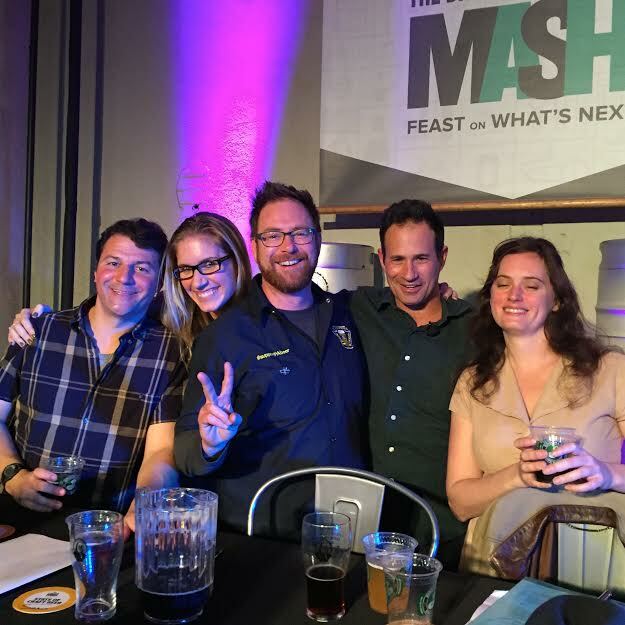 When I saw that Brooklyn Brewery was bringing a slew of incredible events to Philly for their Philly Mash series, I made a point to find out how many I could feasibly go to. Then I went to one more. An adventurous festival of emerging culture from our neighborhood and yours; dinner parties, comedy, screenings, debates, art, and humanity’s favorite beverage. I’m in. You bring the fun to Philly. I’ll partake in (most of) it. I “started” my Brooklyn Bonanza last Wednesday with the Found Footage Festival, hosted at World Cafe Live. Sure, the beer was pretty fantastic. No surprise there. However, there was so much more to be… found. Found Footage almost directly translates to the weirdest, most ridiculous clips from VHS tapes from all over creation. We’re talking hyperactive arts and crafts queens, a deeply uncomfortable moment or two with Arnold Schwarzenegger, and the most effective way to Rent-a-Friend. Watch the linked videos if you dare. Thursday was an opportunity for me to geek out in a manner I typically shy away from. You know how gals of yore used to faint over the blokes from The Beatles, the Backstreet Boys, and such? Not me. And yet, on Thursday night, I found myself fan-girling out over the real rockstars at The State of Beer. Brooklyn Brewery’s co-founder Steve Hindy, Saint Benjamin Brewing Company‘s Christina Burris and Tim Patton (who were also our hosts! ), Victory co-founder Bill Covaleski, All About Beer editor John Holl, and Dogfish Head founder Sam Calagione (SWOON). I’d give you the insider scoop on what the State of Beer actually IS, but Brandon Baker at Philly Voice did a much more timely job than I! However, I WILL say that there was a moment when Steve Hindy got more flak than anyone else MERELY for being from a city with a baseball team that won. Friday night was a Secret Supper with Dinner Lab at Ruba Club in NoLibs. The menu? Incredible. Chef Andrew Gerson and a handful of awesome Dinner Lab chefs whipped up seasonal squash, luscious lamb, and spicy scallops. But what’s an overly indulgent mini-week without a succulent Saturday? Ah, ok, keeping things very literal. 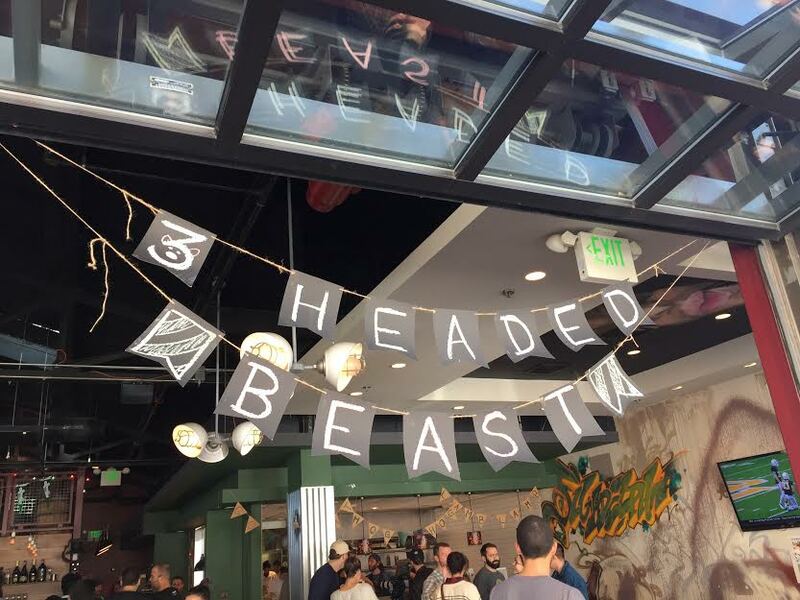 3-Headed Beast hosted by Alla Spina? OH YES. Dishes featuring lamb, pig, and goat were featured. We noshed. We mingled. 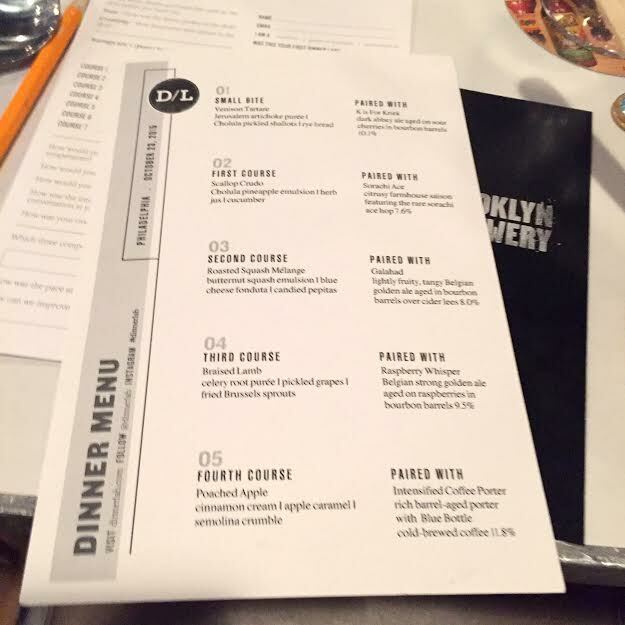 We, of course, sipped delicious Brooklyn Brews. It was the perfect finale to four fun-filled days. And, eventually, we waddled home, bellies soaked in Brooklyn’s beers and all just a little more thankful for our neighbors to the North. 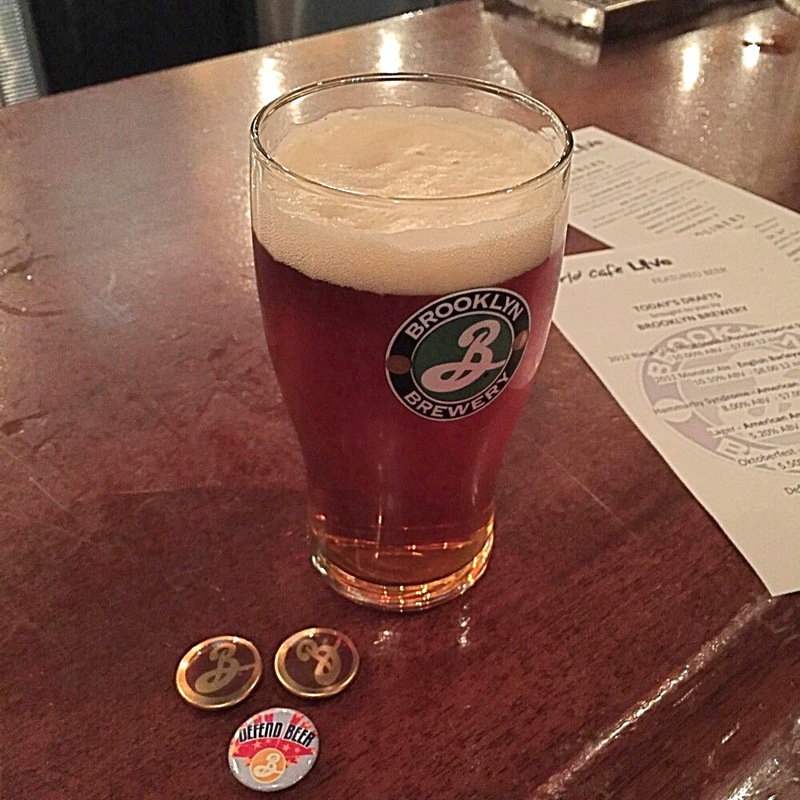 Thank you so much (for the memories, the IPAs, the geeky gab, and the meat party), Brooklyn Brewery. Same time next year?